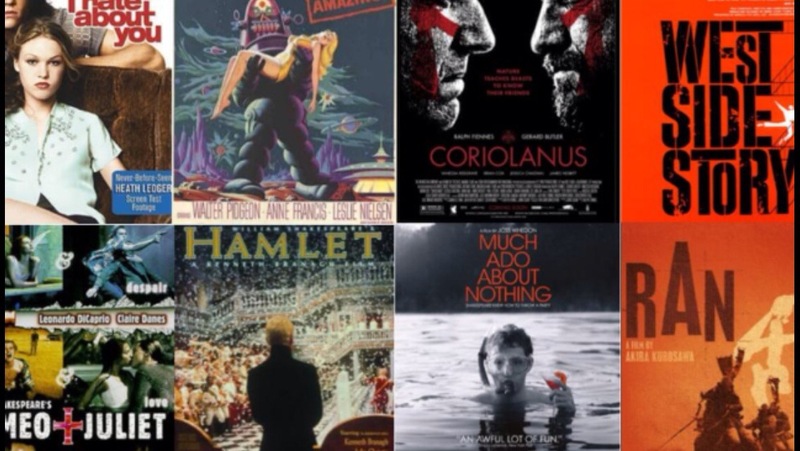 23rd April is the day that history records as Shakespeare’s birthday and what better way to mark the occasion than by listing some of the greatest screen versions of his plays? no other writer has had their work filmed more. with the current total of screen versions being 410.
there are other movies with everything from samurai to gnomes. When it comes to the bard there’s no set of rules. and when you look at the work it’s not hard to see why. So of all of these movies, which are the best? How do you sort the great ones from the rest? Well, of the right place to start I am totally sure. Just turn to the director of Jack Ryan and Thor. Olivier, Welles, Kurosawa? As if! You should start with Branagh’s Henry V.
and his Much Ado and Hamlet are both brilliant too. you should also check out Voldemort’s Coriolanus. it has a good turn from Gerard Butler, which is actually surprising. is Joss Whedon’s version of Much Ado. it is a far cry from Avengers and Vampire Slayers. but if you want modern versions then there’s plenty of those. and see it made right in 10 Things I Hate About You. which is has to be Luhrmann’s Romeo + Juliet. in choosing an example of the playwright’s art. because if Shakespeare wrote it you can’t really go wrong. Yeah, okay, I apologise for some of those rhymes but please take it in the spirit in which it’s meant. Besides, just wait until you see what I’m working on for the day Dr Seuss was born. Thank you, it’s just a bit of fun.